The Ebola outbreak death toll has risen to 5,160, the World Health Organization (WHO) has announced in a new report. The frequency of new cases no longer appears to be increasing nationally in Guinea and Liberia but remains high in Sierra Leone, the WHO added. The Ebola outbreak is thought to have infected more than 14,000 people, almost all of them in West Africa. The deaths of three more people in Mali have been reported in the past day. 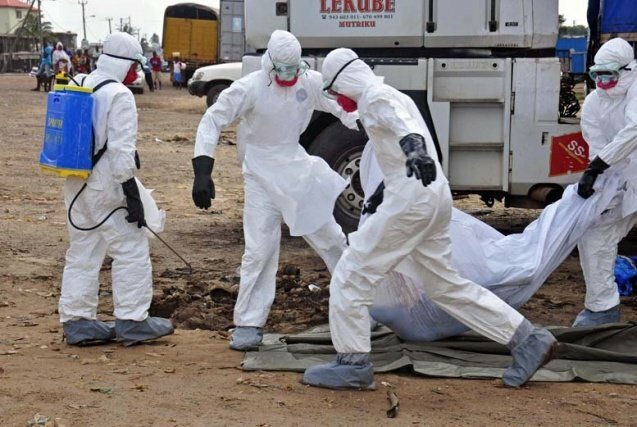 “Transmission remains intense in Guinea, Liberia and Sierra Leone” and the frequency of new cases is still increasing in Sierra Leone, the WHO said in its situation report. Health experts have argued that the rate of new cases is more significant that the total death toll, as it reflects how fast the virus is spreading. More than 2,830 people have died from Ebola in Liberia, with more than 1,100 deaths in both Guinea and Sierra Leone, the WHO said. Mali has reported four deaths from Ebola, while there were eight reported Ebola deaths in Nigeria, and one in the US. The total number of deaths has increased by 200 since the WHO’s last situation report on November 7.